The Zambia Centre for Interparty Dialogue says it will go ahead with the proposed National Dialogue despite the Church mother bodies pulling out and wishing to take it alone. 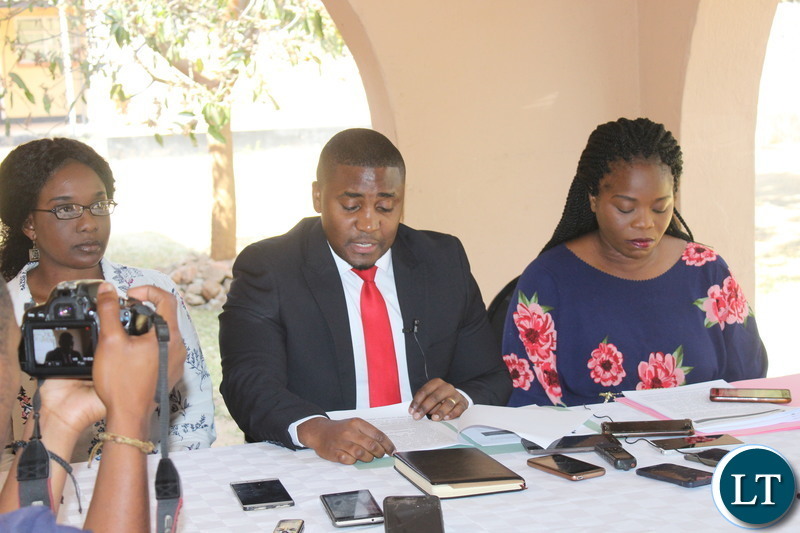 Speaking during a Media Briefing in Lusaka today, ZCID Board Spokesperson Jackson Silavwe said the Centre will proceed with the national dialogue as it was mandated and agreed upon by its constituent members and other stakeholders. 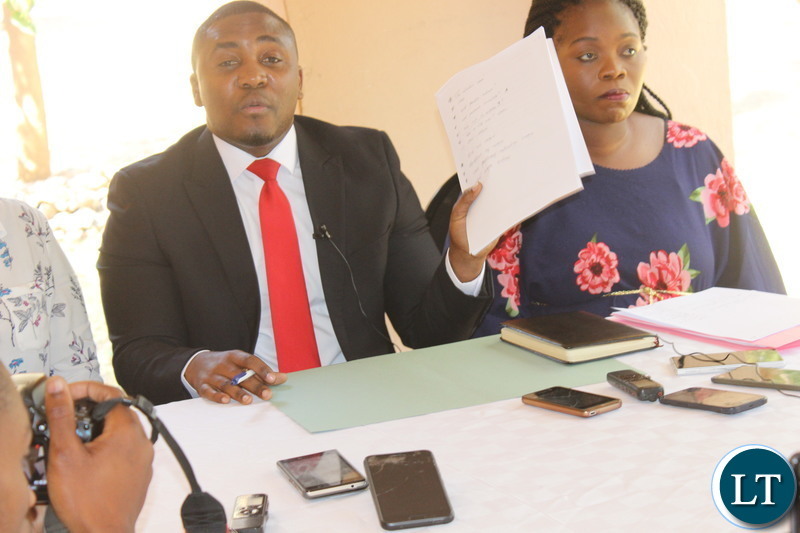 He said during the National Democracy Stakeholders Summit held in Lusaka early this year and Political Party Secretary General’s meetings among other meetings, it was agreed that ZCID facilitates the Dialogue while the Church Chairs. Mr. Silavwe said noting that the Church has pulled out and wants to organize its own Dialogue, ZCID has resolved to appoint a five personell team from eminent persons to Chair in place of the Church. He clarifies that the five will be nominated by political parties with representatives at ZCID and all have submitted the persons except for the opposition UPND. “ZCID shall continue to facilitate the process of National Political Dialogue involving all the political parties and stakeholders based on the aforementioned thematic areas. The ZCID Board has requested all the political parties both in and outside Parliament to submit a name of an independent eminent person to constitute a team of five (5) to chair the National Political Dialogue,” he said. The ZCID Board Spokesperson added that “ZCID shall proceed with the Summit of Presidents (SOP) to commence the constitutional reforms and consider the four thematic areas outlined above as per the Secretary Generals Resolutions. ZCID shall announce the date/s of the Summit of Presidents together with the five (5) eminent persons”. And Mr. Silavwe said ZCID has no problem with the Church mother bodies contrary to some perceptions. He said the ZCID is only doing what it was mandated to undertake by the NDSS and political party SGs. Meanwhile, ZCID says it will proceed with the planned Presidential Summit which will also have a bearing on the country’s Constitutional reforms. President Edgar Lungu during a meeting with the ZCID board at the PF Secretariat had halted Constitutional reforms to allow the political parties under the auspices of ZCID have the Dialogue and President’s Summit to be held. This miserable group has been paid and they cannot imagine refunding back the money. As is usual, nothing will come out of this… like the mobile ambulances and other pathetic empty actions, this will just add to the list of the inane. This ZCID is consuming too much money in sitting allowances, anyway its those donors money who cares. I think ZCID is most paying NGOs at the moment. They are hellbent on this….lets see if they will be intetested in doing it for free!! In a country where there is institution where all issues, political, economic, social, cultural, legal, and ecological should be debated in the context of the views and desires of the people, why ZCID? The same can be said of the church mother bodies, the Elections Council and the judiciary. What is it under the Sun that upnd and its directionless supporters have not said before? And all based on tri.bal reasoning. Or, in your case, reasoning by the parasitic !mbecile, for the corrupt 1mbeciles? Is it “National Dialogue” or “Parasite Federation Dialogue”? And if the church mother bodies and tri.bal Hacks do not come to the dialogue table, we Zambians shall DIRECT our employee the President of Zambia to proceed with constitutional reforms which he suspended unilaterally. why is PF ADAMANT ON zcid TO HOST THE DIALOGUE? SOMETHING NOT RIGHT HERE. THE THREE CHURCH MOTHERBODIES SHOULD HOST THE DIALOGUE. WE WANT FREE AND FAIR DIALOGUE NOT PARTISAN DIALOGUE. PF and UPND are the reason for the dialogue. If one of the two is not there, there is no point. How do you dialogue alone? Why should this dialogue be controlled by HH desires.HH is selfish and self centred not fit for public office.zambia will be a better place without him. Why disrespect the church….. They instruct us to close our eyes in and we follow humbly….. The devil is physical now….. There are two mutually exclusive dialogue issues here. 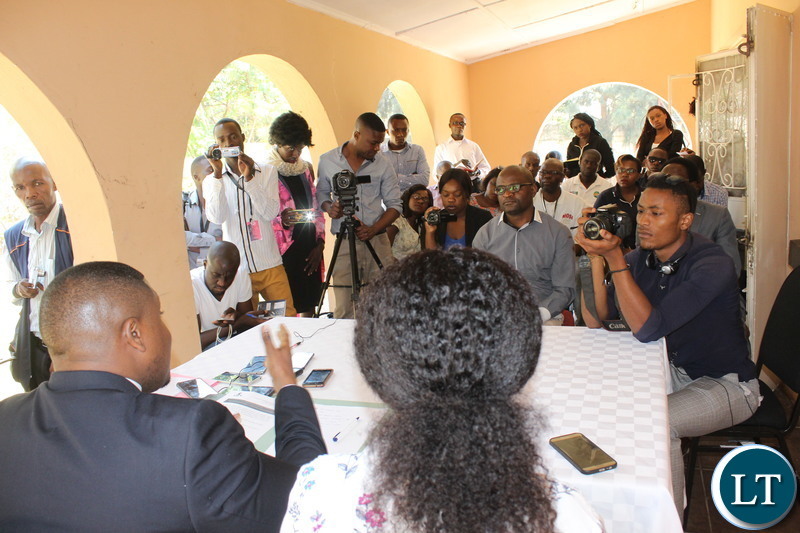 The first issue relates to the political tension between PF and UPND. Who will reconcile the two warring parties? This is the first issue. Obviously this cannot be handled by ZCID. This can be handled by either a church representative or chiefs’representative. The second dialogue issue relates to political issues e.g. amendments to the Electoral Processes Act, Public Order Act, Constitution, etc. This sort of dialogue be handled by ZCID. An eminent lawyer or a former judge is better suited to handle this sort of dialogue. I wished the Church mother body was as wise as you Ze Biggy. The reconciliation party can be ably be handled by the Church. Dialogue relating political issues better be handled by an eminent lawyers or former judges. Why is the church not being inclusive? Do we even have any eminent lawyers left in Zambia.They have all been compromised by corruption and politicians. The fact the church mother bodies and commonwealth has been sidelined by Edgar Lungu,PF and ZCID means that have a hidden agenda. Even the three church mother bodies have said they are going to organize the dialogue without the involvement of ZCID so it seems there will be two sets of dialogues.